Here are some questions about French connections you read about/ heard about from the news or the website in December/January. Click the answer you think is correct. Sorry, no prizes. 1. 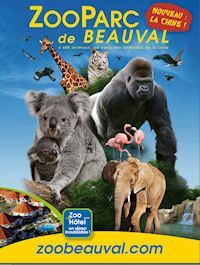 What were the recent queues at the Beauval Zoo there to see ? b) the parrot who sings "la Vie en Rose"
c) the pink baby panda whose godmother is Brigitte Macron. Bravo! Correct answer. Yang Meng is the first baby panda born in France. 2. 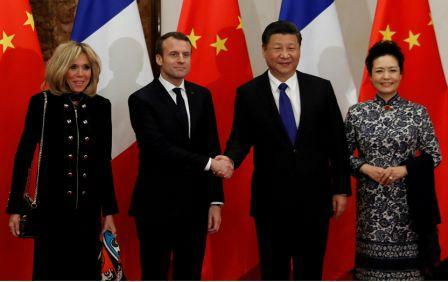 And in reply to China's "panda diplomacy" what did President Macron offer to the Chinese President ? Absolutely true. And the horse came complete with a special harness and sword. b) 50 pairs of breeding snails. Would you believe it ? This is incorrect. Try another answer. c) Two French International football coaches on loan until the next world cup. c} Not correct, sorry. Would the French jeopardise their chances ? 3. In France, who does a letter belong to? Absolutely correct. 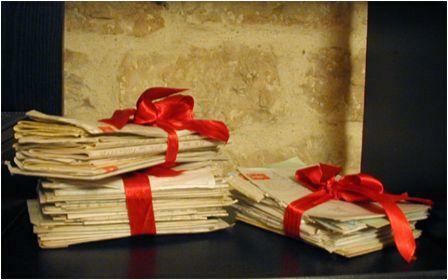 Under French law, letters are owned by the people who write them. b) To the addressee (recipient). Sorry. Incorrect. This is why the film maker,Claude Lanzmann, cannot publish the love letters he received from Simone de Beauvoir in France. But he can in the USA. c) To the Post Office if the letter is not delivered. This is incorrect. Try again. 4. 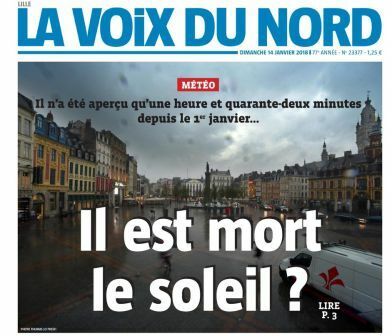 How many hours of sunshine did the Nord-Pas de Calais region have in the first fortnight of January 2018 ? a) Less than 3 hours. b) Between the 3 and 4 hours. c: Between 4 and 5 hours. 5. Which queen took refuge in a cave ? Correct. 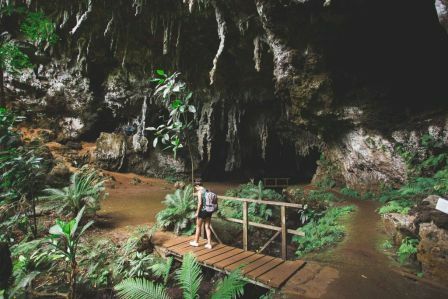 You can see the tropical cave at the Isle of Pines. here . Incorrect, Would there have been a cave big enough for her and all her retinue? Incorrect. Queen Mathilde is the current Queen of Belgium and the first Belgian born Queen consort. Queen Mathilde was also the wife of William the Conqueror. 6. 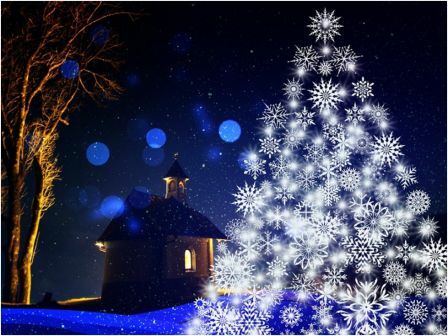 How did Carmen see in the 2018 New Year in France ? a) Dancing down the Champs Elysee with hundreds of thousands of others. Incorrect. The crowd was there but Carmen wasn't dancing. b) Drinking the last of the bottles of Beaujolais Nouveau she'd stashed away. Incorrect. Although, it is suggested that the Beaujolais Nouveau wine should be drunk before the end of the year. c) She stormed through France. Correct: She was the Storm Carmen who brought winds of up to 130km/hr to the west of France. 7. In France, the police see a huge jump in the theft of what, prior to end of year festivities ? a) Christmas trees get stolen from the forests. People like fir trees. b) Home burglaries - robbers looking for Christmas presents. c) Oysters for those special meals. This is the Correct Answer. In fact, in one single robbery approximately 7 tons of the shellfish were taken. 8. 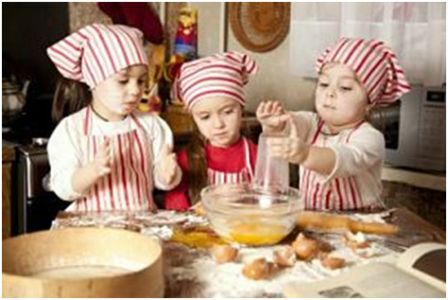 In France, which cake/dessert would you be least likely to consume over the December/January period ? Incorrect. The Chocolate log or bûche de Noël is the traditional Christmas dessert cake. You'd be sure to eat some. Correct. La Chandeleur in February is the traditional crepe eating day. Sorry, totally incorrect. The Galette des rois is eaten on the first Sunday after January 1st. If your piece has the charm in it, you become king or queen for the day. Correct. He has a conversation with Reg, the seal, in the Regal Salmon ad. 10. 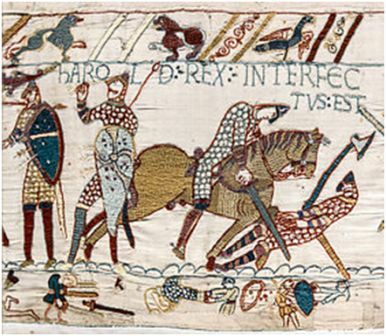 The famous Bayeux Tapestry, after 952 years, may soon be leaving Bayeux on a short holiday. Where is it going for the first time ? a) To New Zealand for a double exhibition along with the masterpiece recreation on show in Geraldine. Sorry, incorrect. But what a coup that would be ! b) To Paris, to the Louvre for show and for some minor repairs. Sorry, incorrect. It was put on show at the Louvre in 1945 after being recovered from the Gestapo. c) To England to reconquer a British audience. Correct! - This is not a Gallic joke. The planning will take a year or so but the French President has agreed.